Large, brown-mottled, buffish grey wader with long, decurved bill. Plumage warmer, more ochre (less greyish), in fresh plumage (including juvenile). 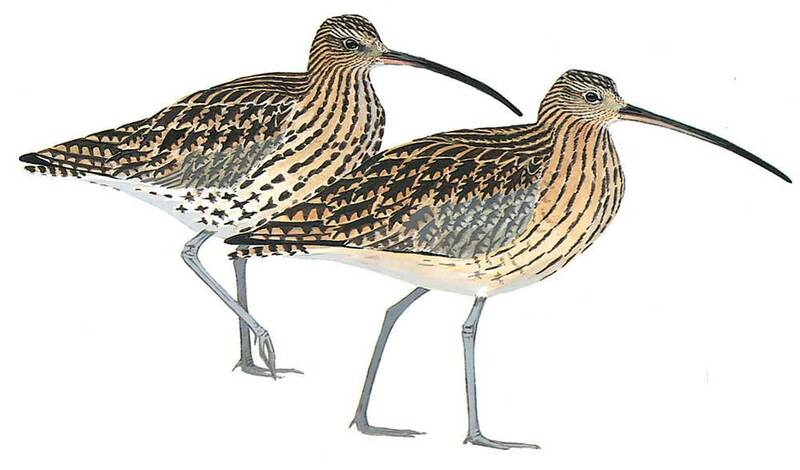 Male smaller than female, with shorter bill, which in young male overlaps with Whimbrel’s, but is more evenly decurved. Flight with rather slow, gull-like wing-beats (obviously slower than Whimbrel), showing barred tail and white wedge on rump and lower back similar to Whimbrel. Distinguished from Whimbrel by size, usually longer bill, uniform head pattern and flight-call.